Under the hood, the Nokia 8 is powered by the Qualcomm Snapdragon 835 processor alongside with 4GB of RAM and 64 GB of expandable storage via microSD card slot. 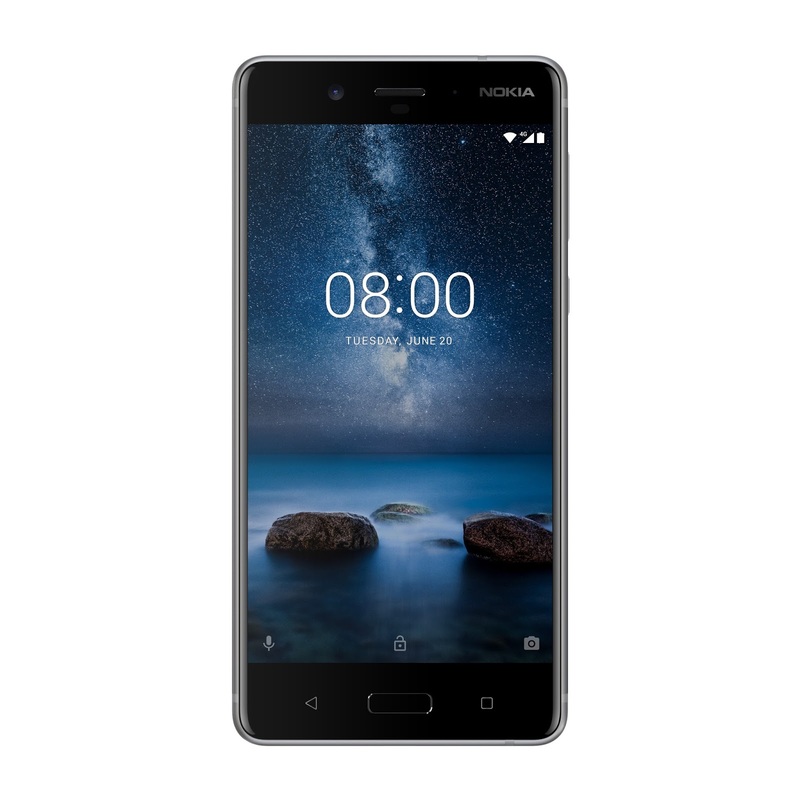 It runs on pure Android with Nougat 7.1.1 out of the box and will be updatable to Android 8.0 Oreo. The device comes with a 5.3-inch Quad HD (2560 x 1440) IPS LCD display that is protected by Corning Gorilla Glass 5. 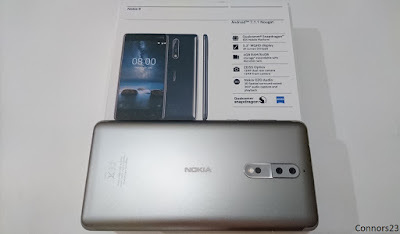 The Nokia 8's chassis is build from a single block of 6000 series aluminium and has been refined through a 40-stage process of machining, anodizing and polishing. 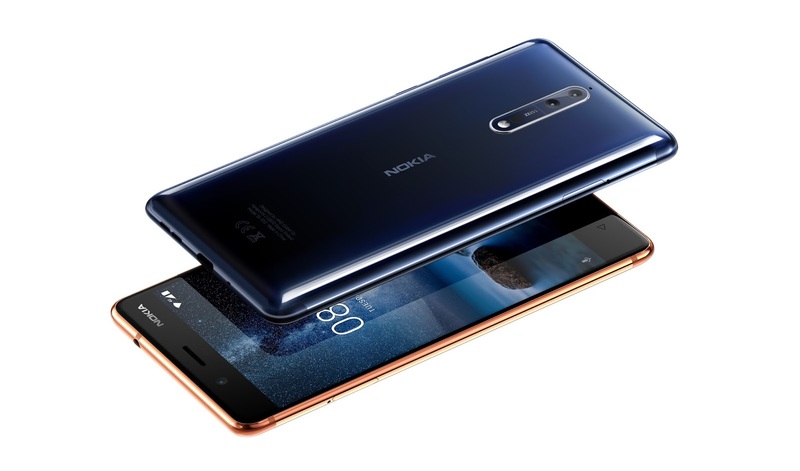 HMD has also added dual camera setup for the Nokia 8's rear camera in collaboration with ZEISS. 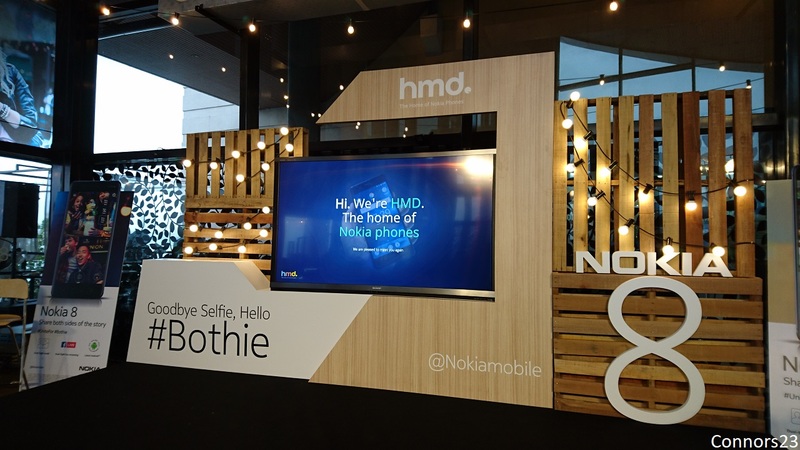 The dual camera is made up of one 13MP colour sensor with OIS and coupled with another 13MP monochrome sensor. The cameras are supported by an IR range finder and dual-tone LED flash. There's also another 13MP snapper on its front. Both front and back cameras are equipped with ZEISS optics, PDAF and an f/2.0 lens. The Nokia 8 features a Dual-Sigh mode which enable users to use both front and back cameras simultaneously which can be utilized for Facebook Live. The Nokia 8 carries a 3,090 mah battery with Qualcomm Quick Charge 3.0 and it's also rated for IP54 splash-proof. 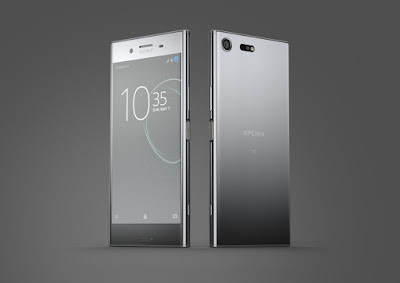 Other specs included a fingerprint scanner, USB Type-C port, 3.5mm headphone jack, Bluetooth 5.0 and 4G LTE. 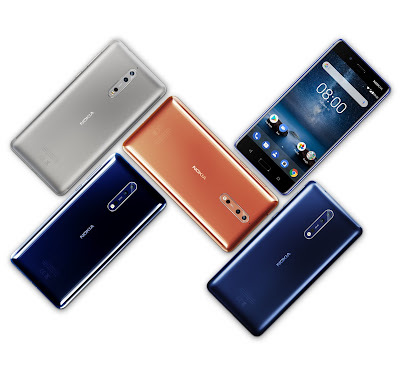 Last but not least, the new Nokia 8 is now available in our market for RM2,299 and will be comes in Steel, Polished Blue, Tempered Blue and Polish Copper will be available on later date.